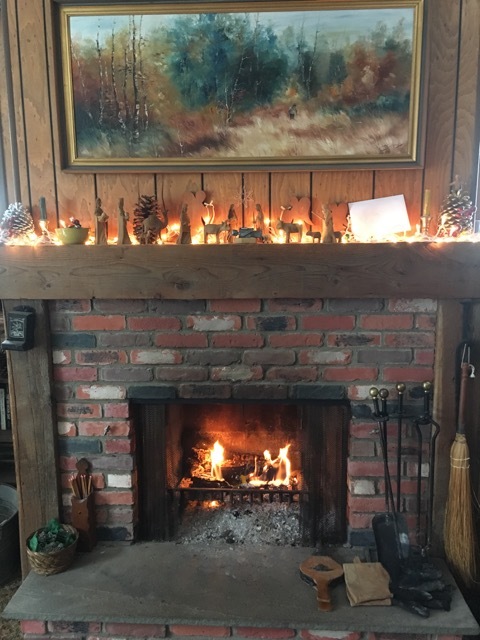 The cheery yellow-orange-red-gold flames warmed my body and my heart. 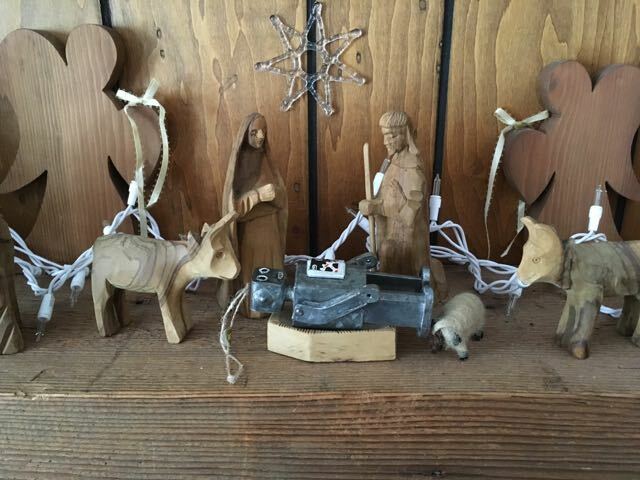 We set the nativity scene up on the mantel and put some Christmas lights behind to show it off. Someone had replaced the Son of God with a robot. A man-made piece of technology. Karl moved Jesus around on a regular basis. But this was the worst. The Tower of Babel laying in the manger. We try to build our way to God. Or replace Him with something we’ve built. — arms wide, atop a pine cone, with an all-encompassing view. Come unto me, all ye who labor and are heavy laden, and I will give you rest. 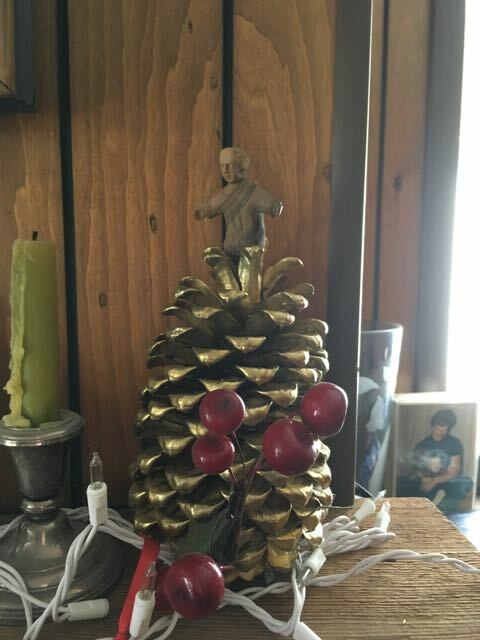 Jesus in a manger or Jesus on a pine cone. Either way — Jesus. Sally, this is beautiful and so appropriate for the current events. I need to be reminded that Jesus is sitting everywhere ~ in the manger, in airports, in courtrooms, and at the top of pinecones. Admittedly, I had to smile about the dastardly crime.